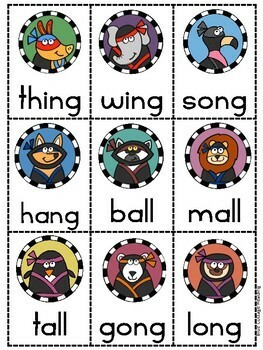 This is a cute phonics game that provides plenty of practice reading words with all, am, an, -ng and -ng. 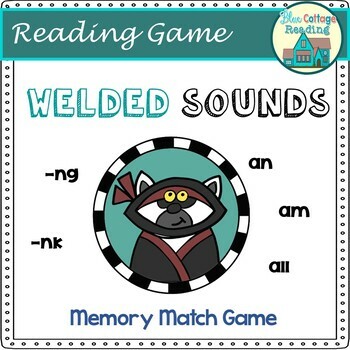 The words contain welded sounds but no blends. 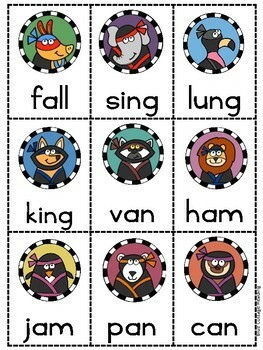 The memory match game is great for homeschooling or tutoring. 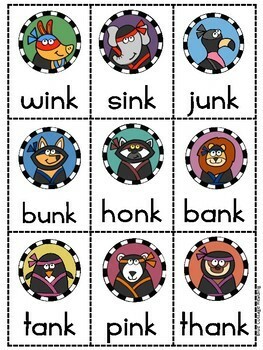 It also makes a fun small group activity.